Cape Town - The Proteas have won the toss and will bat first in the first T20 International against Bangladesh at the Mangaung Oval in Bloemfontein. 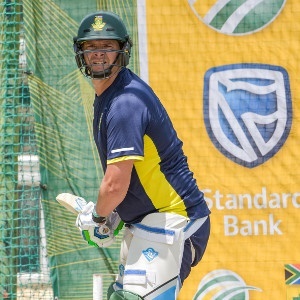 Dolphins all-rounder Robbie Frylinck will make his T20 debut for South Africa while both Aaron Phangiso and Beuran Hendricks are also named in the team. JP Duminy leads the home side in the absence of regular skipper Faf du Plessis who is out of action for six weeks with a back strain. Bangladesh will be captained by the world's No 1 all-rounder, Shakib Al-Hasan. The Proteas will be looking to make a clean sweep of the two-match T20I series after dominating Bangladesh in both the Test and ODI series played earlier this month.